In December 2012, Simon flew up to Australia's Sunshine Coast for a couple of days R&R with Katie and I during a business trip to Australia. 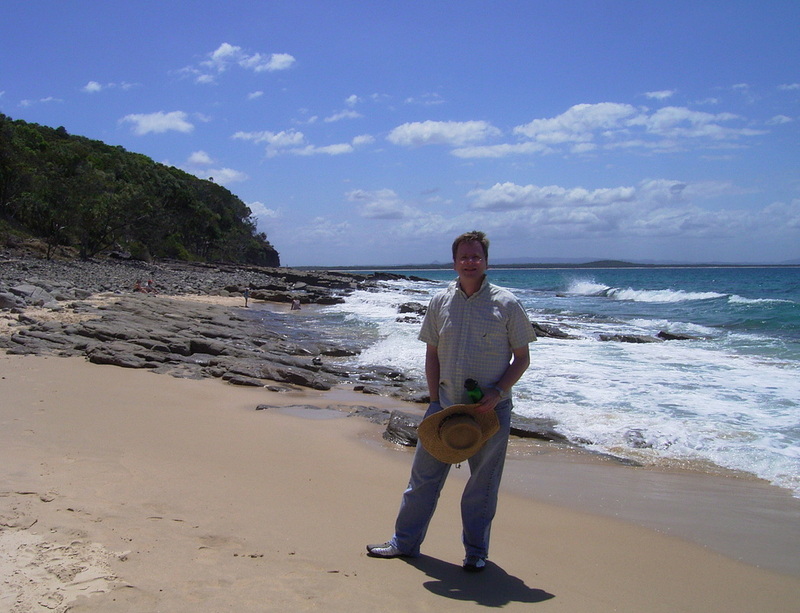 The weather was ideal, so in addition to lots of talking and eating the fine food of the Noosa area, we enjoyed some idyllic walks including Noosa National Park where Tea Tree Bay is located. Simon also spent time with Ruby applying some finishing tweaks in-room. All throughout 2012 Simon assisted me with the set up of tremulants, and the terracing and scaling of ranks. This was delivered via remote control from London. What was achieved was more than we thought possible, the process also taught me a great deal. However, the final arbiter is always a pair of excellent human ears in the room where any organ plays. Simon's finely honed skills, together with some further configuration refinement, took Ruby to a higher level of realism. Lullaby of Broadway, You'll Never Know, Remember Me, Serenade In Blue, 42nd Street.